Does Mars, or did it ever, have life? We still don’t know the answer to that question, but scientists have found new evidence that at least one region had ancient sea-floor hydrothermal activity, a discovery that increases the chances that microbial life may have once existed, and could also provide clues as to how life started on Earth. 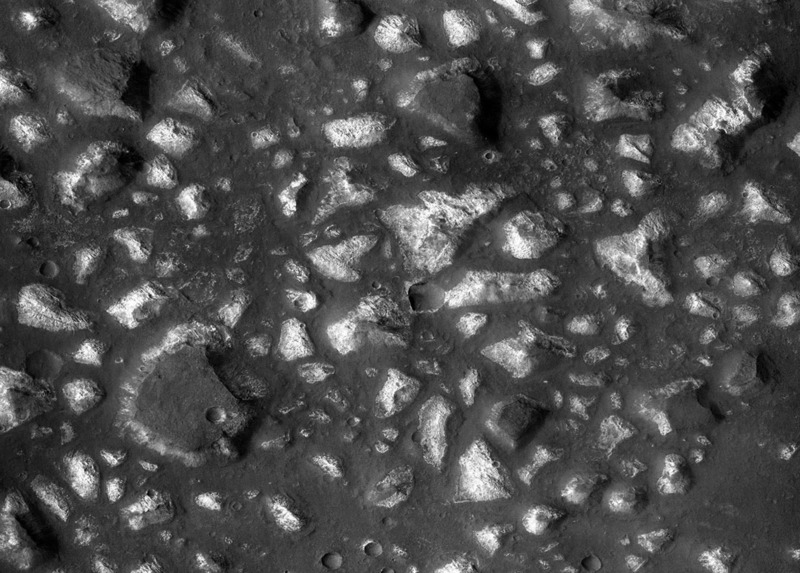 The new findings are based on observations by NASA’s Mars Reconnaissance Orbiter (MRO) of a basin in the southern hemisphere called Eridania. The basin contains huge deposits which scientists think were formed by hot water which entered the bottom of a large sea about 3.7 billion years ago. The water was heated by volcanic activity, but today, the volcanoes are no longer active and the sea has long since evaporated. 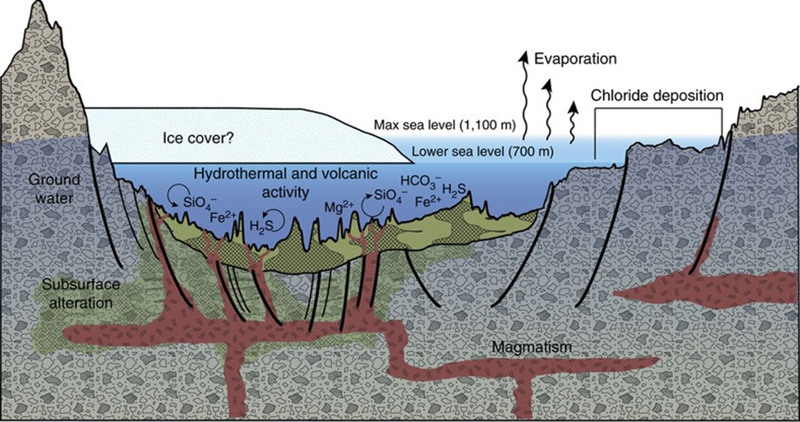 This undersea hydrothermal activity would likely have been similar to what still occurs on Earth today, and at about the same time when life is thought to have started here. As such, this sea could have been a “cradle for life” on Mars. 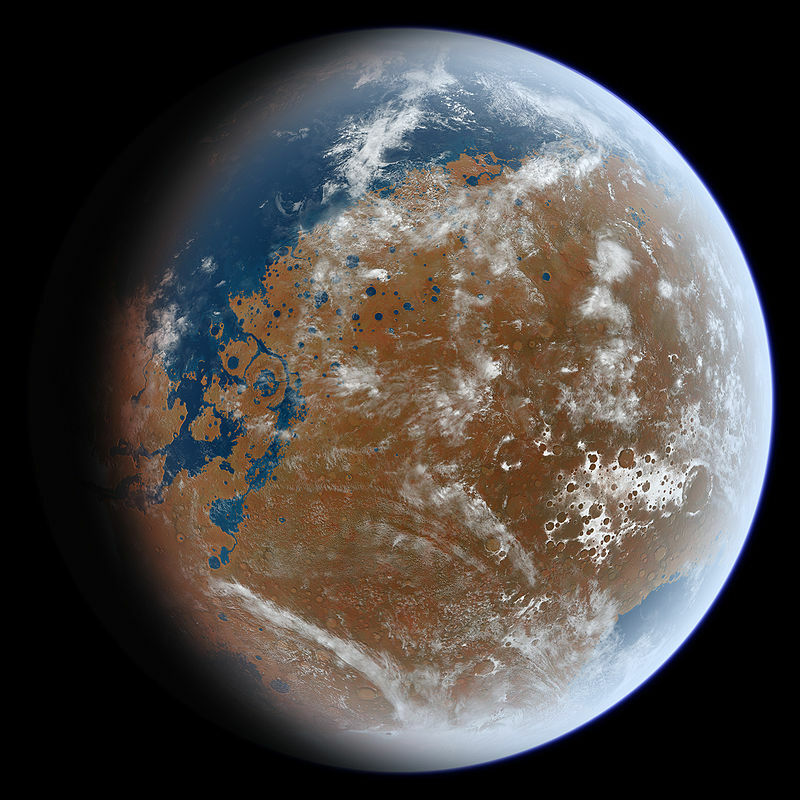 There is still much debate as to whether Mars once had a larger ocean in the northern hemisphere, but even a smaller sea could have provided very habitable conditions. This sea is estimated to have contained 210,000 cubic kilometres (50,000 cubic miles) of water, nine times more than all of the Great Lakes on Earth. Minerals found in the deposits by MRO include serpentine, talc and carbonate. 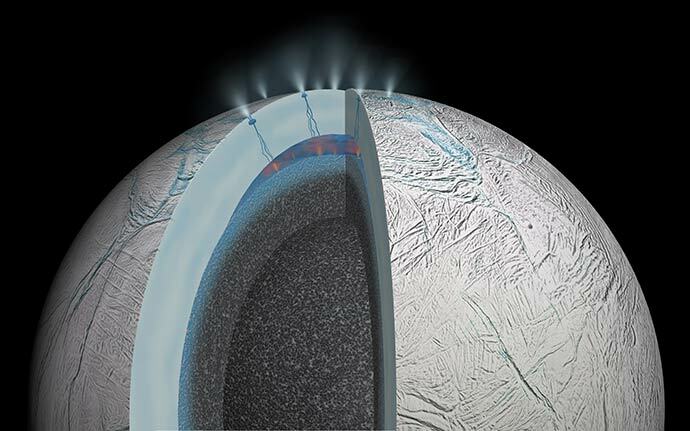 There is also now evidence for current hydrothermal activity on the bottom of Enceladus’ global subsurface ocean, and perhaps Europa as well, which makes these moons prime targets in the search for life elsewhere in the Solar System. 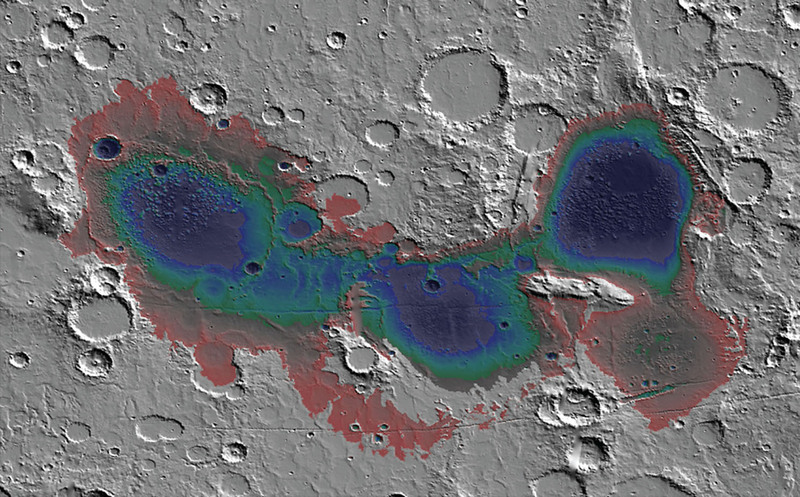 The new hydrothermal findings add clue to the growing knowledge that Mars was once a very wet place, with rivers, lakes, deltas, seas, groundwater and hot springs. Could this become a possible landing site for the Mars 2020 rover? No, the sites have already been narrowed down to a few other ones.